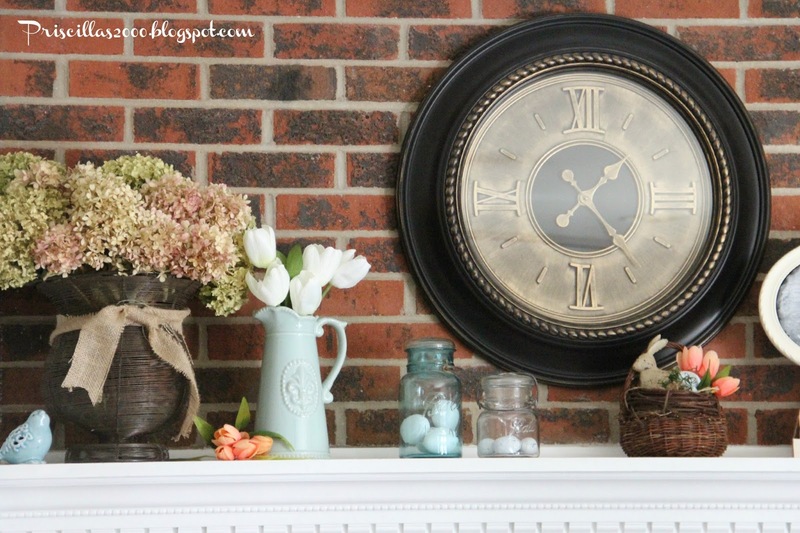 Spring is on the mantel and it all started with the letter B.. 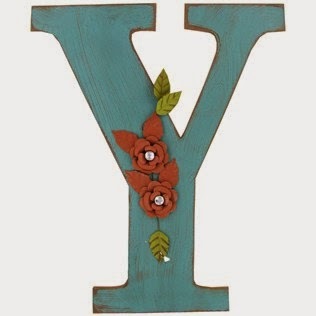 I had gotten the wooden B letter from Hobby Lobby last year ..I didn't take a before photo so I got this one off their web site.. It was the turquoise color like the one above..It just was too bright turquoise against the red brick.. My daughter suggested we put moss all over it so that is what we did..
We used mod podge and a bag of moss and just stuck the moss all over the letter , we left the metal flower on and just stuck the moss under it.. stuck a bunch of books on top of it for weight and it looks amazing ! I added a metal pot of dried hydrangeas, some mason jars with eggs, a bunny chalkboard..a pitcher with some tulips and a bunny in a wicker basket.. 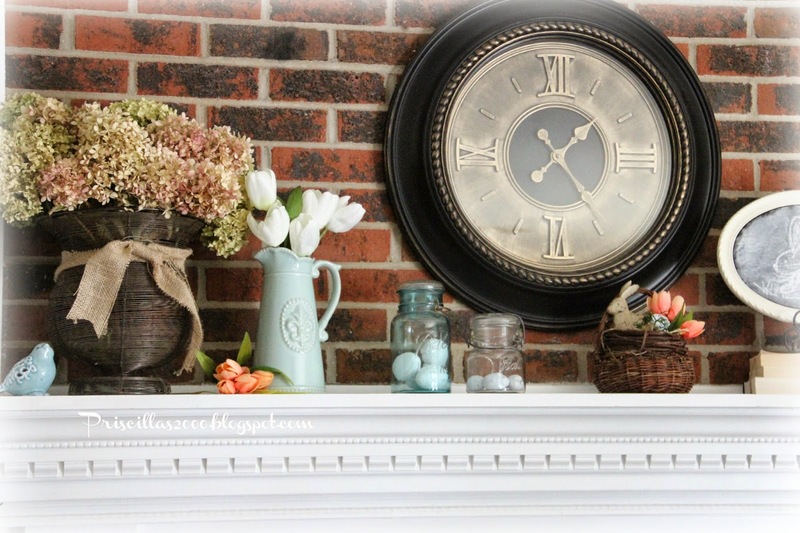 There you have it .. a little spring on the mantel ! It has actually been in the 50's here so I have been able to get all the flower beds spring cleaned the last few days ! I hate to say it but I can't wait to mow the lawn! 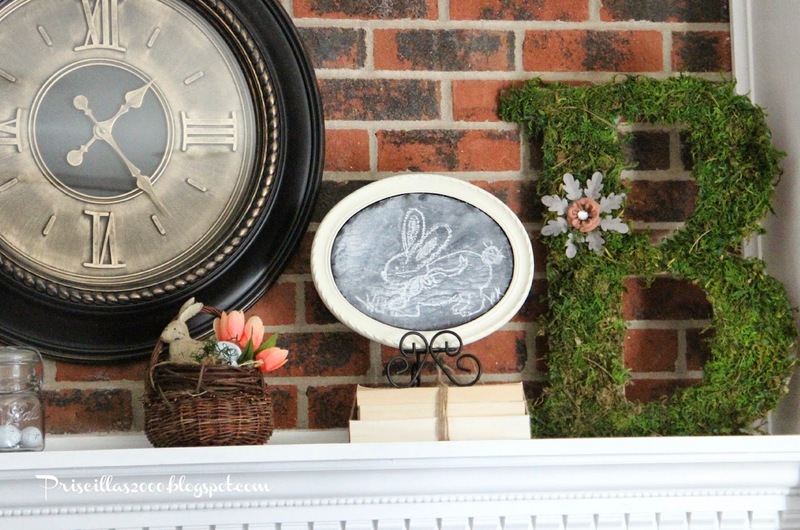 I love the spring moss letter and your decorated mantle. The letter look great with the moss! 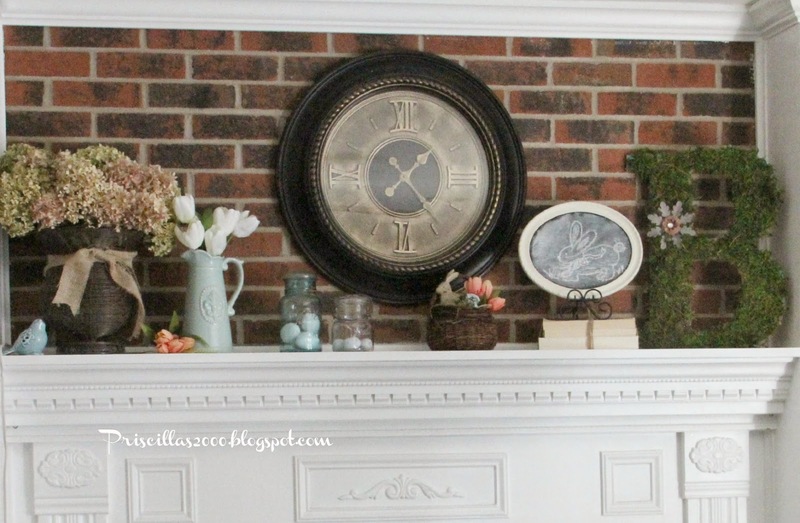 Very Spring-like on your mantle. 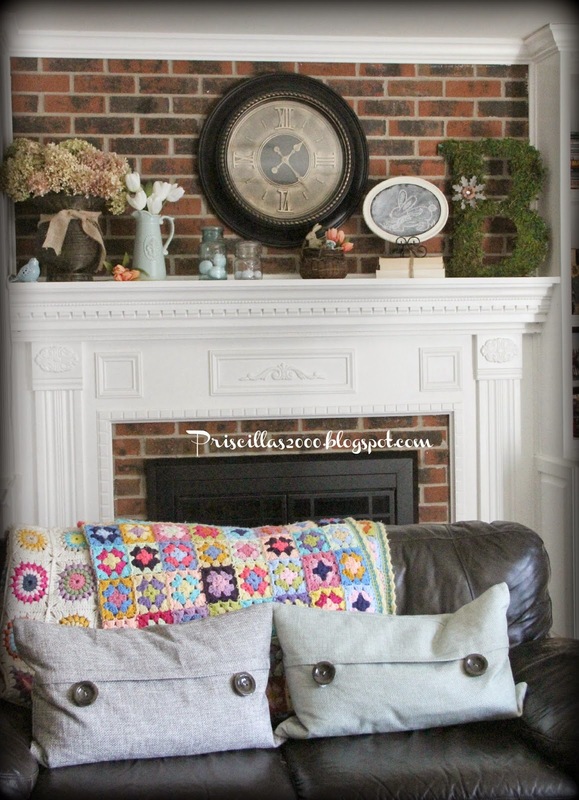 What a great idea with the letter...I am going to try that one..Your mantle looks great. Have a great week.. Blessings! What a great idea to put the moss on the "B"--sounds like your daughter has inherited your creativity genes, Priscilla! I love the Spring Moss Letter idea - so pretty! Your mantle looks awesome. Visiting you from the Twirl And Take A Bow Party.